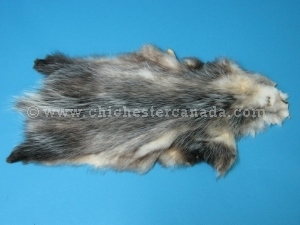 The North American Opossum skins are generally available in limited quantities in the trading post grade. Feet, claws, and tails are not included on these skins. 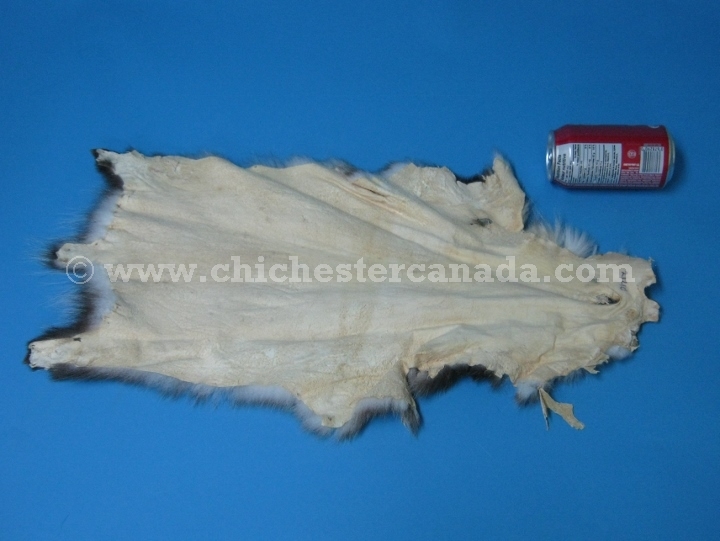 The Trading Post grade skins have nice faces, fur, and first part of the tail, but not the pencil thin stiff part. They weigh approximately 82 g.
North American opossums are not endangered and are not subject to CITES controls.